Have you ever tried a stop at a winner system? You know where you have a number of selections for the day but stop as soon as you get the first win? Although I agree some of my experiments are showing that they can actually be just as profitable or more so over time. It can also mean you don’t have to put up with so many losers. There is no doubt that SAW won’t work for every system and they are more suited to high strike rate systems where you have a 40% or above strike rate. 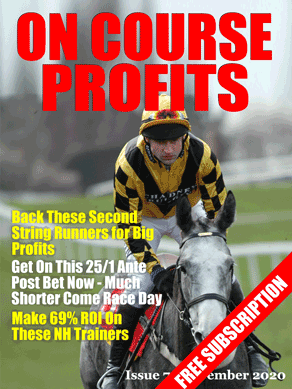 This normally means you are on quite fancied and sometimes low priced runners. Looking through the race cards and looking at just the 1st and 2nd favourites is a good place to start and can easily give you 3 or more selections to use each day if you carefully consider which ones to use. The other thing you need to consider is stop loss. I have found that on days where things are not going to plan it’s pointless to just keep going. In fact it is better to get yourself out after 3 or 4 losses than it is to keep hoping for a win and then having to make up a lot of lost points. Also by limiting your maximum loss does allow you to consider different staking options. If you are interested I have set up and experiment over at the Grey Horse Bot web site. The selections are chosen using 3 criteria. I am calling it an “interactive” test because you can experiment with the rating number. You can see the results using all the selections and SAW. You can even get the daily selections so that you can follow along and see how it actually works.